Danang Mandala Prihantoro, a Lion Air official, said in a statement that the plane was new and had only been in service since August. "Lion Air is very concerned about this incident and will work with the relevant authorities parties," said Mr. Danang, adding that the airline had set up hotlines for relatives of passengers to call for information. Edward Sirait, president of Lion Air, said the same plane experienced an unspecified technical problem during a flight on Sunday from Bali to Jakarta, but the problem was resolved "after the procedure". 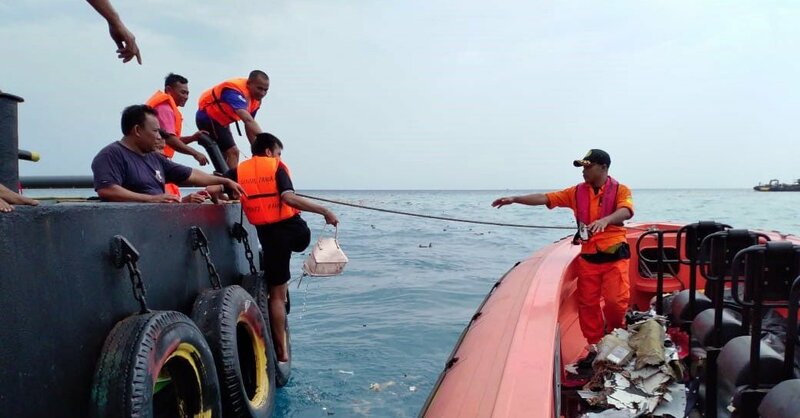 There was no immediate word about losses on early Monday afternoon, but Mohammed Syauqi, head of the National Search and Rescue Agency, told reporters that body parts were found around the crash site. The cause of the crash was not clear. FlightRadar24, a flight-tracking system, said it had analyzed preliminary satellite navigation The data released by FlightRadar24 showed that the flight started on Monday and initially rose to normal altitude. But within a few minutes, the plane suddenly crashed 500 feet and crashed to the left in an unusual flight pattern. The plane then rose in front of a seemingly steep descent into the Java Sea. Mr. Soejatman said he had looked at the flight data from the Sunday flight and noticed a "similar erratic gradient and terrain speed problem", leading him to believe that a problem with the instruments was also a problem. Boeing said in a statement that it was "deeply distressed" and willing to assist the investigators. "We express our concern about those on board and wholeheartedly sympathize with their families and loved ones." Lion Air said in a statement Monday that the captain of the flight, Captain Bhavye Suneja, an Indian citizen, had more than 6,000 flight hours and that the copilot, who only wears Harvino, had more than 5,000 flight hours.